So you have decided that washing your fruits and vegetables is beneficial for your health – so what next? It’s time to decide which method is the best fruit/vegetable wash option for you and your family. 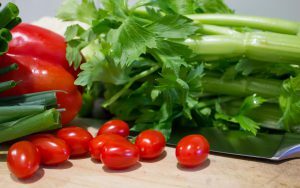 This article is going to give you some helpful information on the different ways you can wash your fresh produce so you can make an informed decision for what’s best for you and your loved ones. If you are new to this site and are not familiar with the reasons why you should wash your fruits and vegetables before eating, then you might like to check out The Best Way To Clean Fruits And Vegetables Naturally. This article explains why you should wash your fruits and vegetables before you eat them even if they are organic. Without further ado – lets get started! Each option has its advantages. Lets explore each of these methods more in depth. There are a wide variety of ready made fruit and vegetable washes available on the market. These are a great option if you prefer not to make up your own fruit/vegetable wash and want something ready to go straight away. When choosing a fruit and vegetable wash make sure that the ingredients used in the product are natural, non-toxic and food safe. You don’t want a product that contaminates your fresh produce do you? 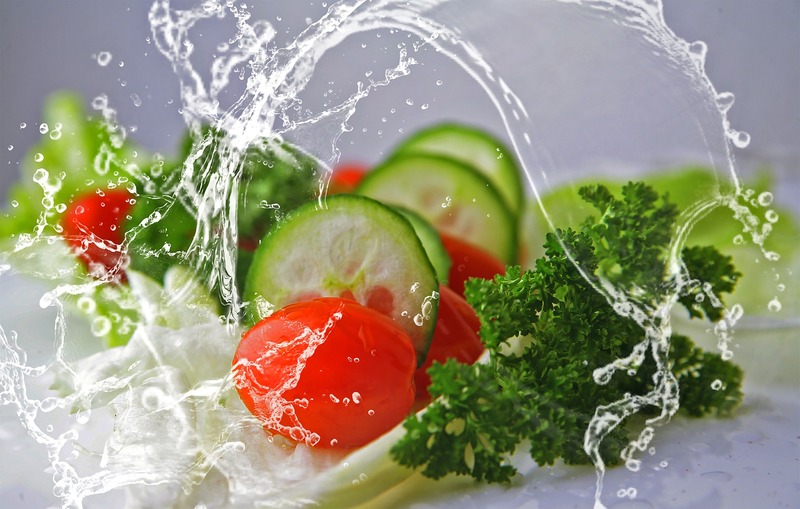 Ready made vegetable washes are designed to break down the waxes, chemical residues and other contaminants found on commercially grown and organic produce. You will find a lot of conflicting information out there regarding their effectiveness, so the decision then comes down to the consumer to decide what they prefer. Personally, I have used a fruit and vegetable cleaner and can highly recommend it. 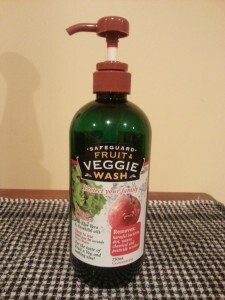 I have compared the difference of using a fruit and vegetable wash to using plain water. There is much support out there for plain water being effective as a cleaner, but from my personal experience, I find water alone does not remove waxes and I find a distinct touch and taste difference in the fresh produce once I have washed in a fruit and vegetable wash. Washing fruits and vegetables properly with a fruit and vegetable wash gives me that extra peace of mind that my fresh produce is as clean as possible. I have found that combining ready made washes and vinegar has extended the life of my fresh fruits and vegetables. 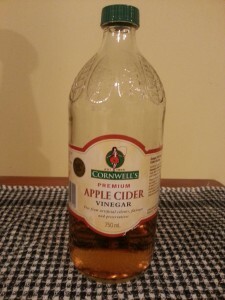 We will talk more about the benefits of vinegar shortly. There is a lot of information and recipes available on how to make homemade fruit/vegetable wash. One of the key advantages of this method is, it is a less expensive option compared to your ready made vegetable washes. Ingredients such as vinegar, apple cider vinegar, bi-carbonate soda and citrus juices feature in this method of cleaning. All these ingredients are so versatile and have so many different uses around the home, that most people have them in their household for one reason or another, making this method accessible for the majority of people. There are many different recipes available on how to make homemade fruit/vegetable wash, again it comes down to ind ividual preference and I encourage you to experiment with the recipes if you choose this method of cleaning your fresh produce to see what works the best for you and your family. 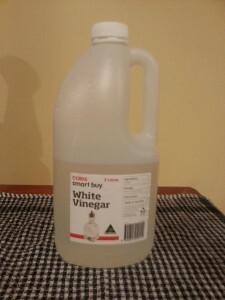 As mentioned above, I combine the use of vinegar with ready made vegetable wash when cleaning my fresh produce. I will rinse the produce in the vinegar and water solution after washing and before the final rinse in water. Why, I hear you ask? Vinegar is known to be effective in removing mold and bacteria. I find that by rinsing after washing helps to prolong the life of my fresh produce when storing. Again, I encourage you to experiment and see what works best for you. For some more information on how each of these ingredients works to clean your fruits/vegetables and some recipe options please visit The Best Way To Clean Fruits And Vegetables Naturally. The third method for cleaning your fresh produce is fruit/vegetable washing machines. These machines use ozone or O3 technology to remove pesticides, bacteria and molds from your fruits and vegetables. It is a chemical free washing system and has also been shown to increase the storage life and preserve freshness of these food items as well. The amazing thing about this ozone (O3) technology is that in addition to fruits and vegetables, it is effective to use and decontaminate other foods such as meat, chicken, fish, seafood and rice. There are no residues left after cleaning and the ozone (O3) water reverts back to normal tap water after fifteen minutes. There are different machines available on the market that have additional uses available, for example they provide options to sanitize cutting boards, bench tops, freshen and deodorize your home just to mention a few. At the end of the day we know the importance of washing our fruits and vegetable before we eat them. We have looked at the three main ways to wash your fresh produce. Ready made wash, home made wash and a fruit and vegetable washing machine. Using one of these methods opposed to using plain water will ensure that you are washing fruits and vegetables properly. The choice now comes back to you as to which suits you and your family the best. I hope this information has been helpful. If you have thoughts or questions please leave them in the comments box below. ← Organic vs Non-Organic Food – What is the Difference?